Alcoholism is a disease of the twentieth century. From this addiction dies two times more people than cancer. If the person is an alcoholic, it does not mean that he drinks from morning to night. Sometimes in the morning he goes to work in a prestigious firm, and in the evening go to the store for another bottle of wine. It can continue every day, and others can not notice that they were rough and quiet neighbor was suffering from alcohol dependence. There are several ways to recognize alcoholic. To recognize an alcoholic can be a person's appearance. People suffering from alcohol dependence, deformed collagen structure, and the face appears constantly puffy and flabby. Appear swollen and the eyelids become deformed and nastier the vocal cords, the movement of the body in space becomes chaotic and uncertain. 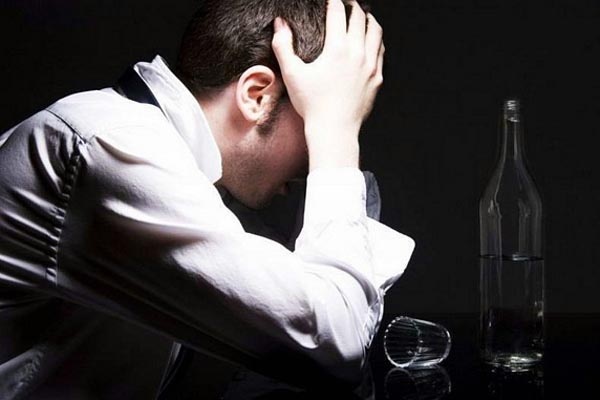 Ask the person some questions on the topic: how do you treat alcohol addiction? Most often the addict will not be to criticize or praise the alcohol, and try to justify alcoholics. They will argue that they have a hard life, a failed career, no personal life, and that they can understand and not judge. It also happens that a person does not know that he is an alcoholic. Perhaps you are in the number. Ask yourself ten questions: 1. You drink alone? 2. Trying to find a reason for another bottle of wine? 3. You need alcohol in order to function properly the body? 4. If you can reduce the dose of alcohol, or abandon it altogether? 5. Was your drink cause unpleasant incidents? 6. Do you drink secretly? 7. You have anger at the thought to stop to drink? 8. Have you changed your diet? 9. You carefully watch your image? 10. Does shaking your hands after sleeping?If you answered "Yes" to five or more questions then you suffer from alcohol dependence.